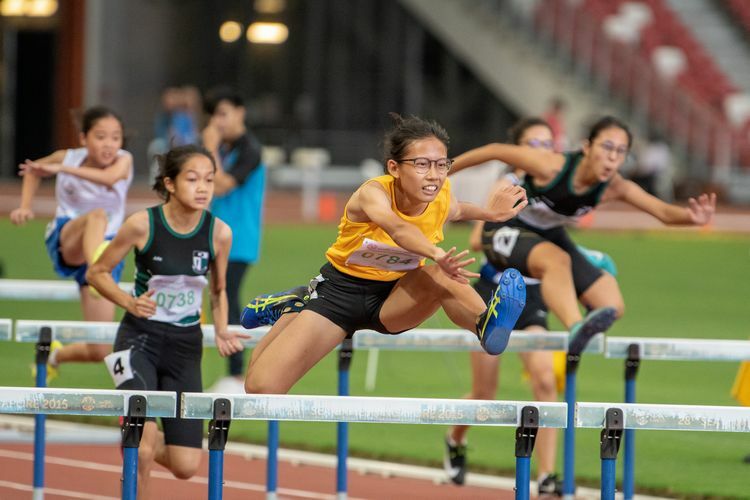 Having started as a high jumper in secondary school, Goh Chui Ling, in her first year at Hwa Chong Institution (HCI), picked up the 400m when her junior college needed a runner to complete the 4x400m relay team. 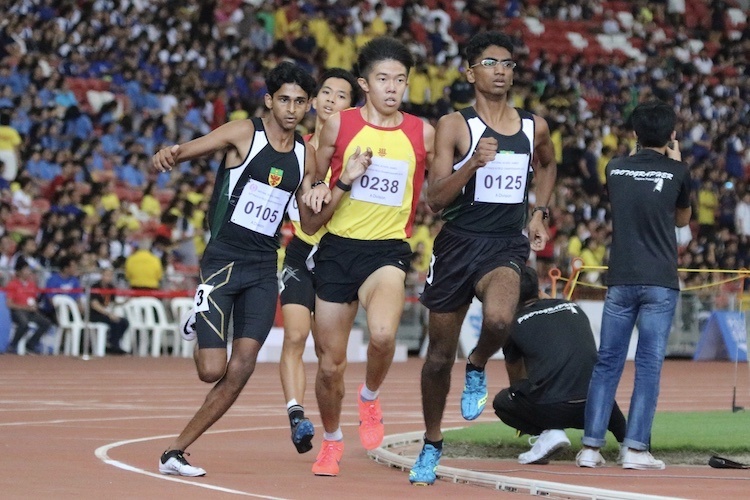 Coached by UK Shyam, the men’s 100m national record holder and a teacher at HCI, Chui Ling did well enough in her second year to earn a silver in the A Division 400m girls’ event at the 2010 National Inter-School Track and Field Championships, and was also a part of the gold medal-winning 4x400m relay team that year. Despite her success, her struggle at the time to break 60 seconds for the 400m led her to think she might never make a national team and compete at the Southeast Asian (SEA) Games. 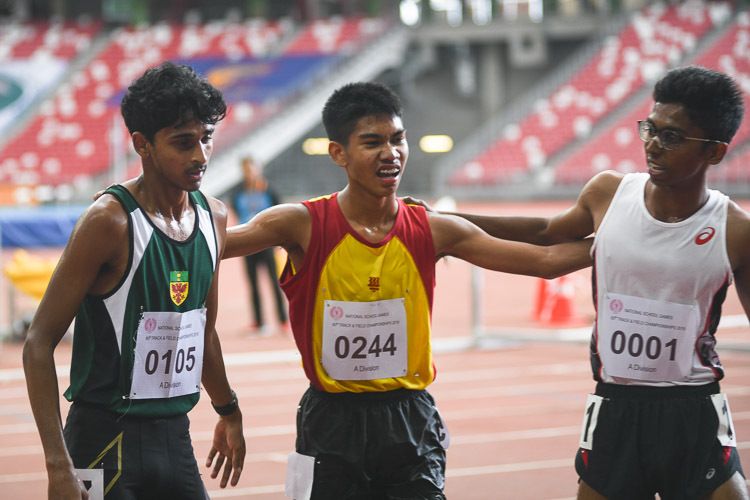 “Altogether, from the start of my 400m journey, it took me three to four years to break 60 seconds, which is quite a long time actually for any athlete to train to do it. So there were a lot of downs. I remember (thinking) maybe the combined universities team was the furthest I could go,” said the National University of Singapore law undergraduate. When she finally broke 60sec for the 400m, it was in January 2013 at the Institute-Varsity-Polytechnic (IVP) Track and Field Championships, one month after the ASEAN University Games where another sub-60sec bid failed. She clocked 59.98sec to finish third at the IVP Championships. Soon, she would contend for a place on the national 4x400m relay squad. 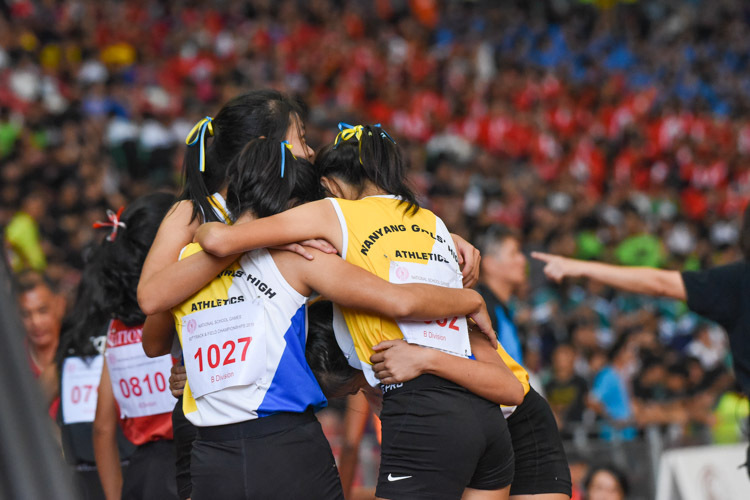 Later in 2013, Chui Ling had a chance to join the four members — Shanti Veronica Pereira, Dipna Lim Prasad, T. Piriyah, and Wendy Enn — already established in the 4x400m relay squad to compete at the 27th SEA Games in Naypyidaw, Myanmar. 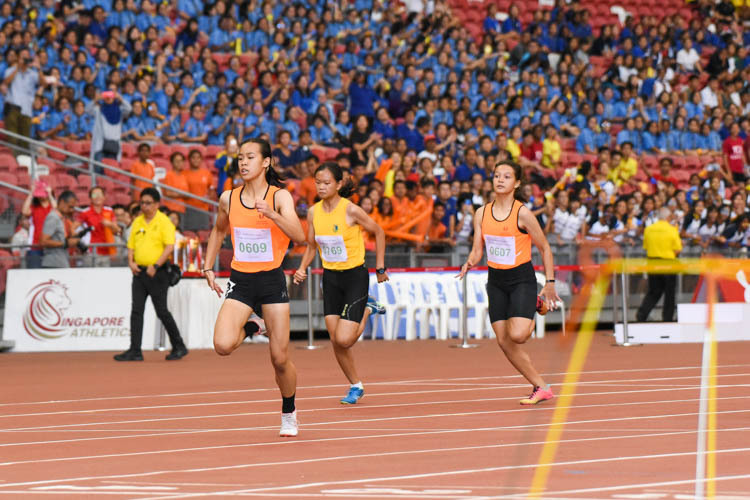 Up against seven competitors vying for two reserve spots, Chui Ling had to place in the top two in the women’s 400m race at the Singapore Athletic Association (SAA) Track Series 5. She won with a time of 59.26sec. “When I made it, it was the first time in my life that I felt, ‘Hey, I’m actually good enough.’ The first 100m, I’ve never run so hard in my life. And, then, by the time I reached the last 100m, I was literally jogging because I had no energy left. I remember I could not even see the finishing line; I could not hear anyone around me. All I knew was I had to finish the race so that was how I ended up falling after the finish line. So that’s the most memorable race I think I’ve ever had,” said Chui Ling. 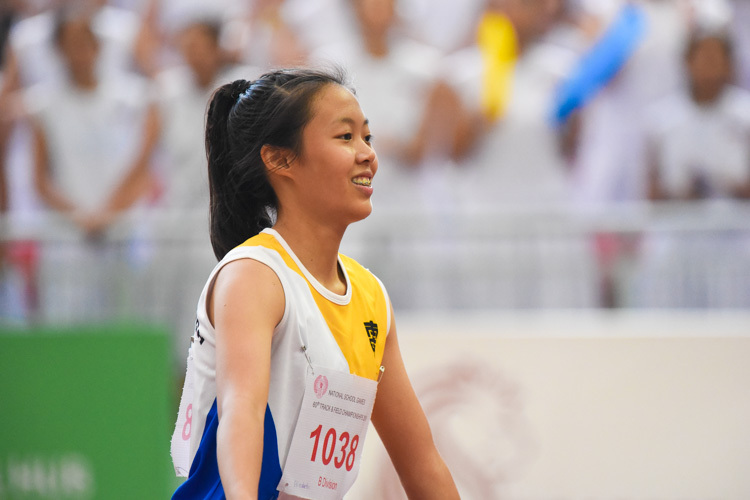 With her known sprinting ability, and the new high jump PB, after a mere two weeks of training, Chui Ling was encouraged to consider competing in the multi-event heptathlon — comprising the 100m hurdles, high jump, shot put, 200m, long jump, javelin throw, and 800m usually spread over two days. “When I did a 1.6-metre and got a gold for high jump at the IVP, quite a few people approached me (to talk about doing the heptathlon). 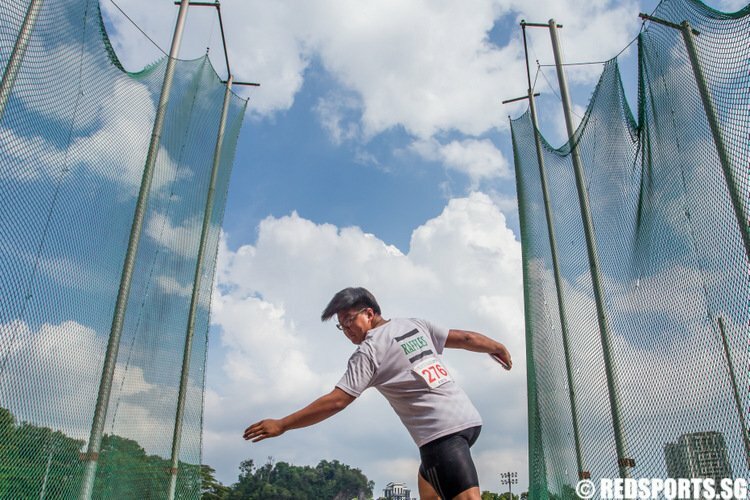 (But) the only person who was thinking of my throws was Mr (Melvin) Tan (Chui Ling’s sprints and hurdles coach). He said, ‘You can do the heptathlon but you’ll suffer in your throws.’ And he was right,” said Chui Ling, who is 1.66m tall and had struggled to add the two kilogrammes to her current 49kg lean frame since she started training for the heptathlon in the middle of 2014. 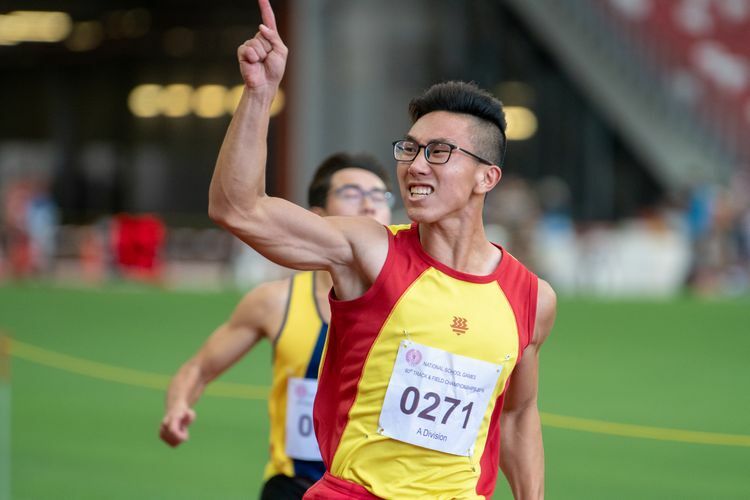 With seven disciplines in the heptathlon to train for on top of a full academic load as a law student, the 22-year-old decided to take one semester off school in the latter half of 2014 to focus on training. 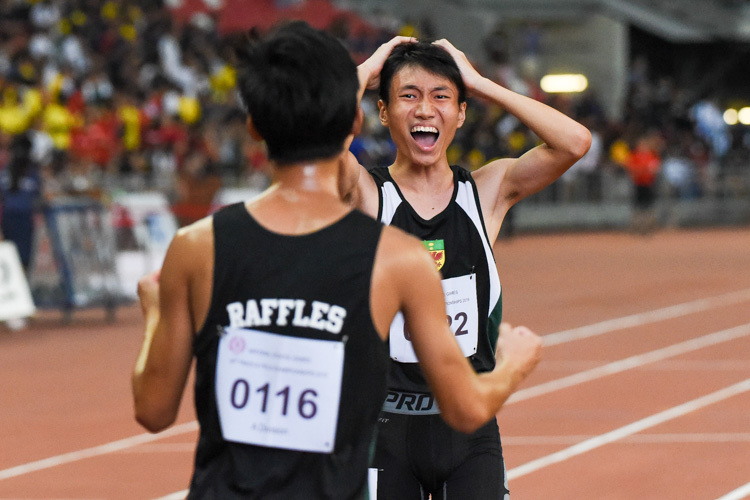 “The person who suggested taking six months off was Mr Tan, my coach. He told me, ‘You’re only young once. 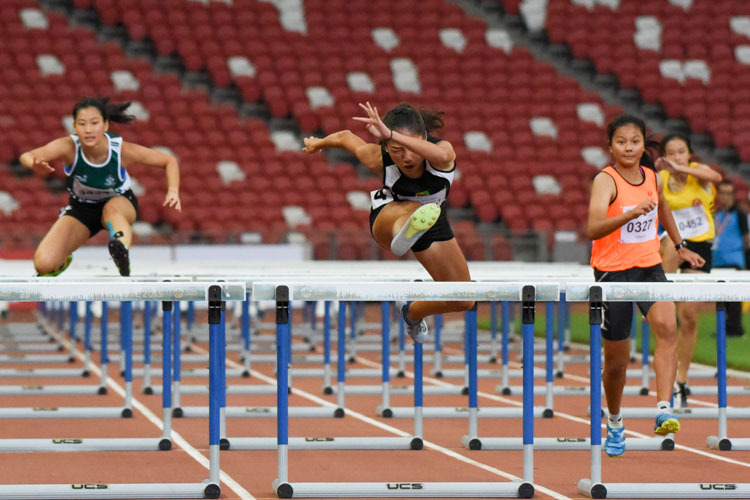 If you want to reach goals you’ve never gotten, you must do things you’ve never done.’ There was no way I could commit to training for seven events on top of my workload,” said Chui Ling, who has participated in three heptathlons this year since resuming her studies. Of the three heptathlons, her personal best came from the Malaysia Open in March when she garnered 4168 points. That points tally, however, still leaves her some way adrift the national record of 5116 set by Yu Long Nyu in 1993 and the bronze medal tally of 5152 set by Thailand’s Sunisa Khotseemueang at the last SEA Games. In her heptathlon journey, she has not entirely given up on her pet event, the 400m. She continues to see her times in the event get faster and her improvements have bolstered the chances of the 4x400m relay team breaking the 40-year-old national record of 3 minutes 43.85 seconds. She clocked 57.95sec for her latest 400m PB in March this year at the SAA Track Series 3. Explaining her decision to race the 400m at the time, she said, “I wanted to clock a 400m timing (to be eligible for consideration) for the 4x400m in case I could not make the SEA Games for the heptathlon. The time ranks her as fourth-fastest in the 400m this season. Since two of the three faster runners ahead of her – Shanti Veronica Pereira (season’s best of 56.77sec) and Dipna Lim Prasad (season’s best of 57.91sec) – have chosen to focus on other individual events, Chui Ling is also lined up to represent Singapore in the 400m at the upcoming SEA Games alongside T. Piriyah (season’s best of 57.64sec). 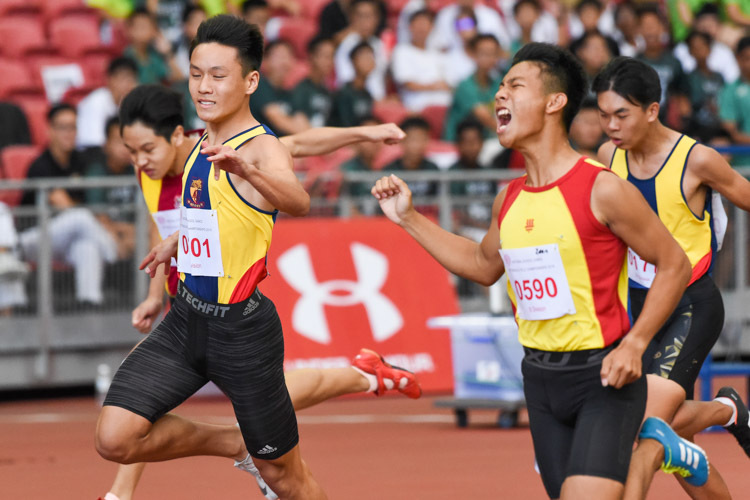 The quartet is largely unchanged from the team that finished in a time of 3:44.80 to place fourth of five teams at the last SEA Games in Myanmar, with Chui Ling replacing Wendy Enn (who has chosen to focus on the 100m and 4x100m relay). But with the women’s 4x400m relay scheduled for the same day as four events (100m hurdles, high jump, shot put, and 200m) in the women’s heptathlon, Chui Ling arguably has the toughest juggling act on her hands. But that is not the only thing she has to worry about. Having been part of the Asian Games 4x400m relay team last year and seen at proximity the effect of the home crowd on the South Korean athletes, Chui Ling expressed mixed feelings about the opportunity to race at the National Stadium at the SEA Games.